The UFC returns to the City of Angels on Saturday, Aug. 4, with a title doubleheader showcasing the promotion’s two lightest weight classes on the men’s side of the board. In the night’s main event, the rivalry between former teammates T.J. Dillashaw and Cody Garbrandt continues. Dillashaw recaptured bantamweight gold when the pair clashed at UFC 217 in November and Dillashaw knocked out Garbrandt in the second round. Garbrandt will look to match Dillashaw as a two-time champion, whereas Dillashaw will try to cement his legacy with another victory. 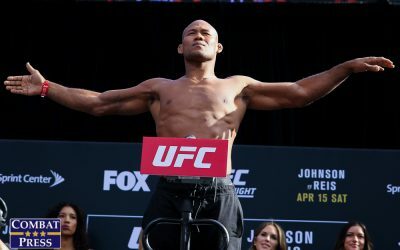 Gold will also be on the line in the co-headliner, where the sport’s pound-for-pound king, Demetrious “Mighty Mouse” Johnson, rematches Henry Cejudo for the flyweight title. Johnson has not tasted defeat since 2011 while racking up 11 straight title defenses along the way. One of those defenses came against Cejudo at UFC 197, where Johnson stopped the Olympic gold medalist with vicious knees to the body. The 13-fight event takes place at the Staples Center in Los Angeles and kicks off with four bouts streaming on UFC Fight Pass at 6:15 p.m. ET. Four additional preliminary-card fights follow on FX at 8 p.m. ET, with the five-fight main card airing live on pay-per-view at 10 p.m. ET. Combat Press writers Matt Quiggins and Rob Tatum break down the card in this edition of Toe-to-Toe. T.J. Dillashaw and Cody Garbrandt fought for the UFC bantamweight title in November at UFC 217. Dillashaw won, but neither man has stepped into the Octagon since then. Is this immediate rematch the right call by the UFC? 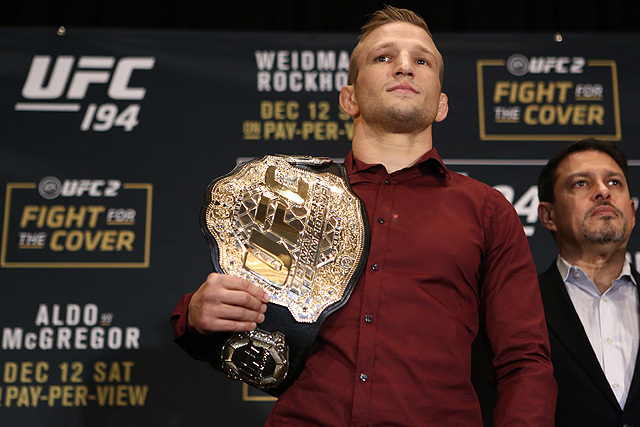 Will Dillashaw repeat his performance from last year? Quiggins: It was the right thing to do for the division and to help build the rivalry, but I am not always one for immediate rematches. Right now, the only immediate rematch that is deserved goes to Stipe Miocic against Daniel Cormier, due to Miocic’s historic run at heavyweight. However, let’s not get off track here. This fight is either a win-win for the division or a complete disaster, depending on your point of view. Dillashaw is going to win this fight the same way he did last time: Mentally. 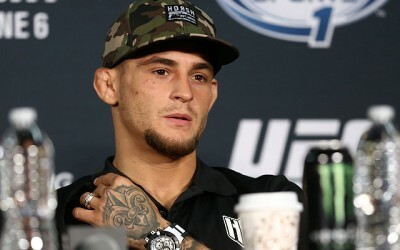 He said it best during the UFC Fight Night 30 broadcast when he stated he felt bad for Garbrandt since this wasn’t even originally Garbrandt’s rivalry. Dillashaw fights smart. He doesn’t take unnecessary risks in order to win his fights, and other than Dominick Cruz, no one can match Dillashaw’s movement. Speaking of Cruz, it’s likely that Dillashaw and Cruz will be matched up once more, and that is a fight that fans will want to see. 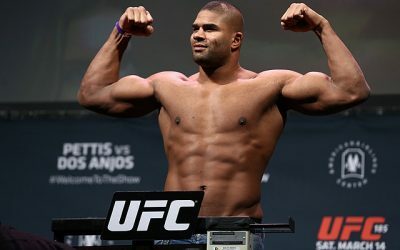 If Garbrandt does get redemption, it’s likely that Dillashaw vs. Garbrandt III will be next, which puts the division in a sort of heavyweight-esque limbo reminiscent of the era when Cain Velasquez, Antonio “Bigfoot” Silva and Junior dos Santos kept going in a circle. Garbrandt has the power to knock out most bantamweights, but he won’t score the finish against Dillashaw. Dillashaw has only lost once since leaving Team Alpha Male, and that was to Cruz. This fight will go into the later rounds and maybe even to the judges, but Dillashaw walks out as the champion. Tatum: In large part, I agree with my colleague’s sentiments toward what happens in this rematch. However, the fight itself is completely unnecessary. Garbrandt was not a long-reigning champion and was thoroughly beaten by Dillashaw in the pair’s first meeting. No controversy. No fluke. This might be the least-needed rematch in UFC history, and Garbrandt has had to do absolutely nothing to earn it. Furthermore, this fight is holding the bantamweight division hostage. There are fighters like the aforementioned Cruz, Raphael Assunção, Marlon Moraes and John Lineker who are now in limbo. 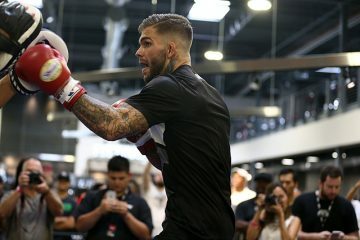 What happens if Garbrandt wins? An immediate trilogy? So the rest of division is supposed to sit back and watch? The promotional efforts put into the lighter weight classes has always been suspect, but this rematch is essentially hitting the pause button on everyone else in contention. Regarding the fight, my fellow writer is spot on about the mental warfare that has taken place. Dillashaw has completely owned Garbrandt dating back to the pair’s coaching stint on The Ultimate Fighter. It was an effective tactic for Dillashaw in the first fight, and based on their pre-fight interviews, it’s clear that very little has changed for the former teammates. Garbrandt is still one of the best strikers in the division, but Dillashaw was a step ahead of him throughout the first contest. 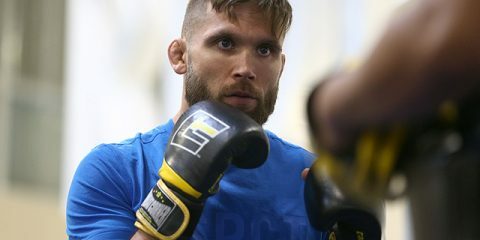 Even if Garbrandt comes in with a different strategy in this fight, Dillashaw is a better wrestler and has a more diverse striking arsenal thanks to his long-running relationship with Duane Ludwig. I’ll echo my cohort and go with Dillashaw by stoppage in the championship rounds. Henry Cejudo gets his second crack at flyweight king Demetrious “Mighty Mouse” Johnson. The champ destroyed Cejudo in their first encounter. Has Cejudo demonstrated anything in his subsequent bouts to suggest that this go-around will be any different? Tatum: The short answer is no. Cejudo remains one of the sport’s best wrestlers thanks to his Olympic pedigree. His boxing skills are excellent, too. 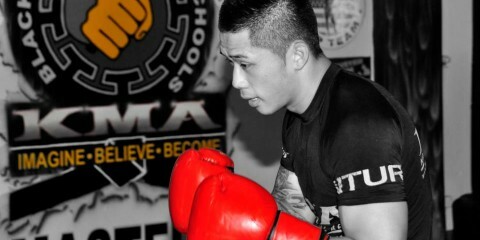 Against most fighters, that gives him a huge advantage. Johnson isn’t most fighters; he’s the best fighter on the planet. 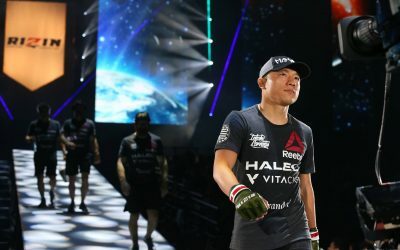 The pair’s first meeting was one-way traffic for the champion, as his striking arsenal was too much for Cejudo to handle. Cejudo has improved with each of his Octagon appearances, but he hasn’t showcased any tools that Johnson can’t handle. Cejudo’s stoppage of former title challenger Wilson Reis with strikes was impressive, until you consider that Johnson beat Reis at his strength when he submitted the Brazilian Jiu-Jitsu black belt. Cejudo’s besting of surging prospect Sergio Pettis is a great feather in the cap, but it’s truly hard to envision how he can stifle Mighty Mouse for five rounds. Johnson has defended his belt three times since the pair’s first bout. Outside of an early submission threat against Tim Elliott, he has dominated every minute inside the cage. The armbar finish of Reis would go on most fighter’s highlight reels, but Johnson had to one-up that acheivement by securing one of the greatest finishes in UFC history in his most recent bout against Ray Borg. Johnson wasn’t going to be satisfied with a decision win, so he suplexed Borg and immediately transitioned into the fight-finishing armbar. Cejudo will likely last past the first round this time, but Johnson simply has more tools and paths to victory. If Cejudo takes him down, Johnson will threaten with submissions from his back. If Cejudo stays standing, he’ll have to once again navigate the speed of the champion and hope that a well-placed knee or kick doesn’t find his liver. Cejudo might lay claim to being the No. 2 flyweight on the planet, but he’s not going to take the top spot as long as Johnson continues to fight. Johnson by third-round submission. Quiggins: I would love to disagree, but I just can’t do that. It is true that Cejudo has improved since the pair’s last meeting, but so has Mighty Mouse. That’s a scary thought to process. Just take a look at his rematch history. Johnson’s first fight with Joseph Benavidez ended in a split decision. The second time, it was a first-round knockout. John Dodson’s first clash with Mighty Mouse was a back-and-forth fight. The second time, it was a more dominant performance by the champ. The only exception to the rule was the first and second bouts with Ian McCall, where McCall arguably won the first pairing but came out unsuccessful in his second attempt. Again, Mighty Mouse looked the better fighter the second time around. It just doesn’t seem plausible that Cejudo will fair any better in his rematch than any of these other top flyweights. This fight will go past the first round, but not by much. Don’t be surprised to see the same outcome as last time with a brutal liver kick. Johnson by second-round TKO. Kevin Holland, Weili Zhang, Matt Sayles and Montel Jackson — do we need to know these names? Quiggins: I’m going to be watching all of these fighters closely, especially Holland and Zhang. Both have strung together impressive records outside of the UFC, and this will be a huge test for them in their respective careers. 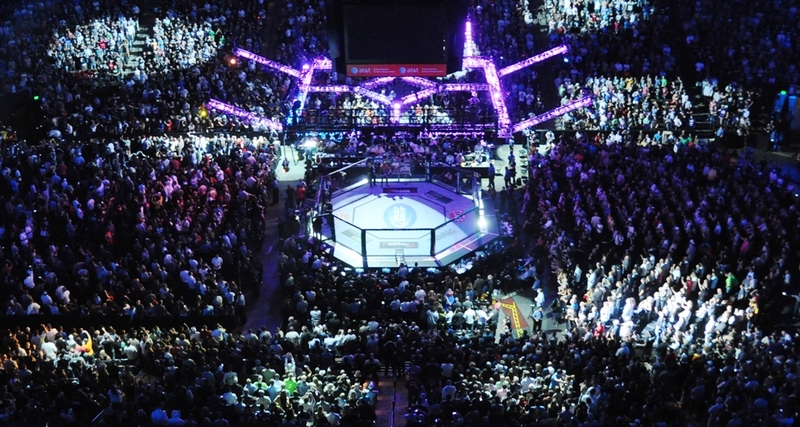 The UFC is in need of some in-house talent that will carry the future of each division. Tatum: This could be a big night for Dana White’s Tuesday Night Contender Series — Holland, Sayles and Jackson have all appeared on the show. — but there’s also plenty of intrigue around Zhang. Other than in her pro debut, Zhang has not lost. She has not faced the toughest competition in her native China, but she does have wins over veterans Emi Fujino and Karla Benitez, as well as notable Brazilians Aline Sattelmayer and Marilia Santos. Fifteen of her 16 career victories have come before the final bell, so it will be interesting to see how she fares inside the Octagon. 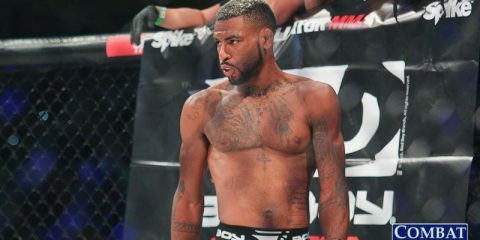 Holland is a strong prospect who has competed for Bellator MMA, the Legacy Fighting Alliance and XKO. 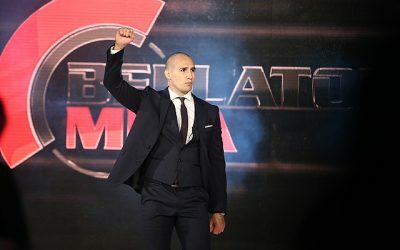 His losses to current UFC fighter Curtis Millender and grappling ace Rafael Lovato Jr. are nothing to be ashamed of, and he’s excelled in Muay Thai as well as MMA. The downside for Holland is that he’s stepping in on short notice against dangerous striker Thiago Santos. Saturday may not go well for Holland, but if he sticks around for a second fight, there’s certainly promise. Sayles is another decorated striker who has found a ton of success on the regional circuit. Six of his seven career wins have come via strikes. He gets an exciting match-up with Brazilian Sheymon Moraes that could easily produce “Fight of the Night” honors. Jackson is the one fighter of this group that is truly being rushed. He just turned pro 13 months ago and has already racked up six wins during this brief stretch. Outside of his win on DWTNCS, Jackson has largely feasted on suspect competition. He has a tough fight against Ricky Simon, and it’s not going to get any easier if he gets a second opportunity. 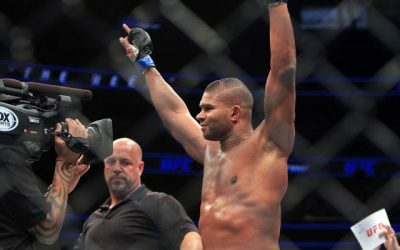 Who’s the biggest winner at UFC 227? Tatum: It has to be strawweights JJ Aldrich and Polyana Viana. While pundits have criticized the fact that this fight is on the pay-per-view main card, it’s a good mechanism for the promotion to spotlight two of the division’s more promising fighters. Viana has torn through the competition in her native Brazil. She has scored stoppages in all nine of her wins. She easily submitted TUF veteran Maia Stevenson in her UFC debut, but she will be facing a step up in competition against the Invicta FC veteran Aldrich. Aldrich has shown strong improvement in her boxing in each of her UFC appearances to date. Although she’s fallen short against UFC fighters Jamie Moyle and Juliana Lima, her performances against Chan-Mi Jeon and Danielle Taylor give a glimpse into the young Coloradan’s potential. Aldrich and Viana may not have the name value of the rest of the main card, but look for these two to capitalize on the opportunity and put on a show. Aldrich has faced tougher opposition thus far, and if she can keep this fight on the feet, she’ll hand Viana a decision loss. Quiggins: I remember the first time I watched Aldrich fight, which also happened to be her professional debut at Invicta FC 8. She showed signs of a great fighter and has only improved since then. She’s only had the one loss in the UFC against Lima in 2016. Aldrich has won back-to-back fights since the loss, and it looks like she will be getting her third in a row. This will be a showcase of two up-and-coming straweights looking to prove that they belong on the main card. Aldrich by decision. 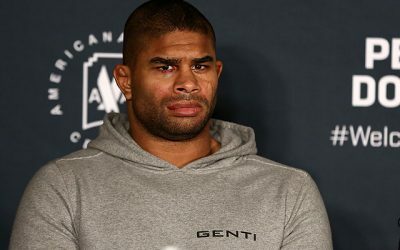 Who’s the biggest loser at UFC 227? Quiggins: Demetrious “Mighty Mouse” Johnson. This is the fourth time in Johnson’s career that he has had to fight a foe that he has previously bested. The rivalry doesn’t carry any significance, nor do I feel that another win over Cejudo will further the champ’s career, other than adding another title defense. While I have been against this idea from the beginning, it has to be addressed: If Mighty Mouse wins and Dillashaw wins, a match-up between the two champs may come to fruition. Mighty Mouse would have nothing left to prove in the flyweight division and should be considered one of the greatest fighters of all time, but unfortunately he will never get the recognition he deserves. Tatum: It’s hard to argue on this one. Johnson is the greatest pound-for-pound fighter in MMA history, but if you ask casual fans about him, they either don’t know who he is or they are largely indifferent. The steady flow of rematches and lack of true challenges gives critics just enough ammunition to cast doubt on his legacy. And when the UFC puts him in the co-main event on a card lacking additional starpower, his 11 straight title defenses get lost in the weeds. If the UFC put half as much effort into marketing its best fighters instead of fake trash-talking, then fans might actually buy this pay-per-view. Tatum: This is a tough choice, but I’m going with the bantamweight match-up between Pedro Munhoz and Brett Johns. 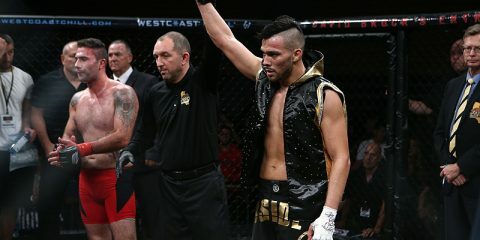 Munhoz is a former Resurrection Fighting Alliance titleholder who has earned three “Performance of the Night” bonuses in his last five bouts. All three of those bonuses came in fights that Munhoz won via guillotine choke. The Brazilian Jiu-Jitsu black belt has only lost to the division’s elite — Raphael Assunção, Jimmie Rivera and John Dodson. Johns, meanwhile, held titles in two other major regional organizations, Titan FC and Cage Warriors. The Welshman saw his 15-fight undefeated streak come to an end in his last outing against Aljamain Sterling, but just watch his 30-second, calf-slicer finish of Joe Soto to get a picture of what he’s capable of doing in the cage. This fight should be competitive throughout. Johns is a judo black belt, which may help him dictate where this fight takes place, but the lethal submission attack of Munhoz will be the difference, as he puts away Johns late in the fight with a rear-naked choke. Quiggins: I’m sticking with the flyweights: Jose “Shorty” Torres and Alex Perez. Perez is currently riding a seven-fight winning streak, including his DWTNCS win that got him his UFC contract. Torres burst onto the scene last month with his late-notice debut against Jarred Brooks and scored a vicious knockout due to Brooks’ own slam. Torres is still relatively new to the pro game — this will be just his ninth professional bout — but he did go undefeated through 17 amateur appearances and won multiple IMMAF championships. Perez, meanwhile, will compete in his 25th pro outing. I’m expecting this fight to garner a “Performance of the Night” win for Perez after a back-and-forth technical battle. Perez via decision. Quiggins: A good solid Mead, given that it’s National Mead Day and also because, why not? It’s going to be a sweet night for champions.